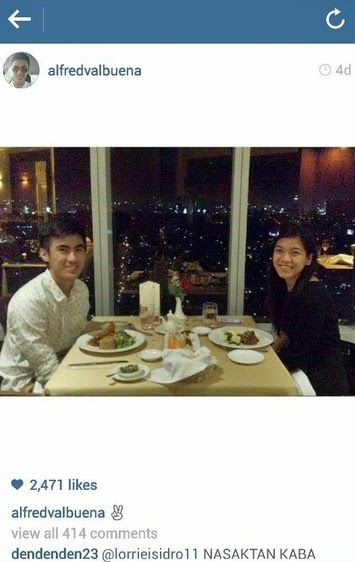 Insta Scoop: The battle of Katipunan reached a screeching halt when these two volleyball players got spotted spending quality time together when they had dinner in a romantic place 4 days ago. Now we know who Alfred is. He's from the UP Fighting Maroons.